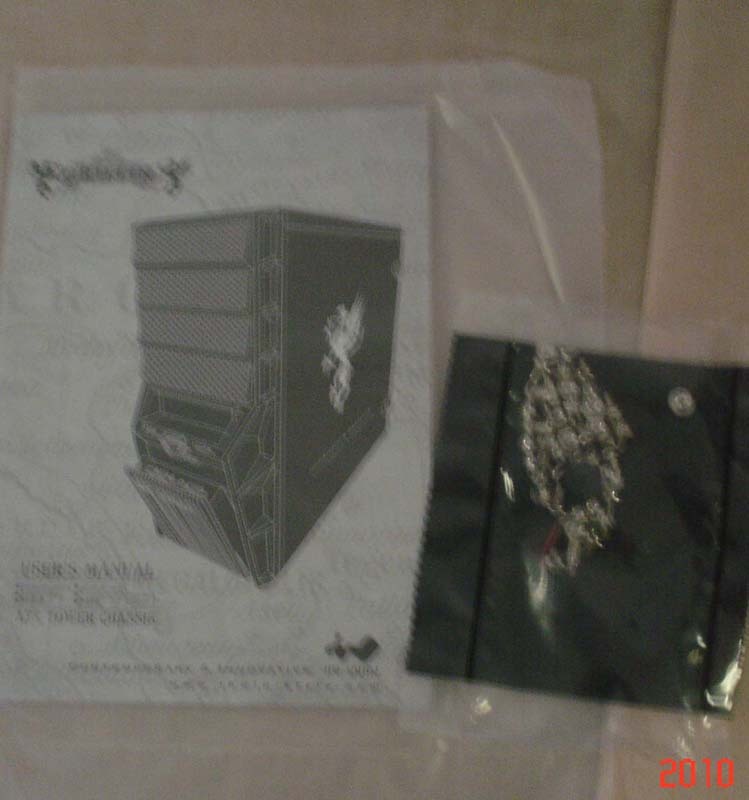 Upon receiving it, I noticed the shipping box is very thick and sturdy, not the flimsy cardboard that cases usually come shipped in. 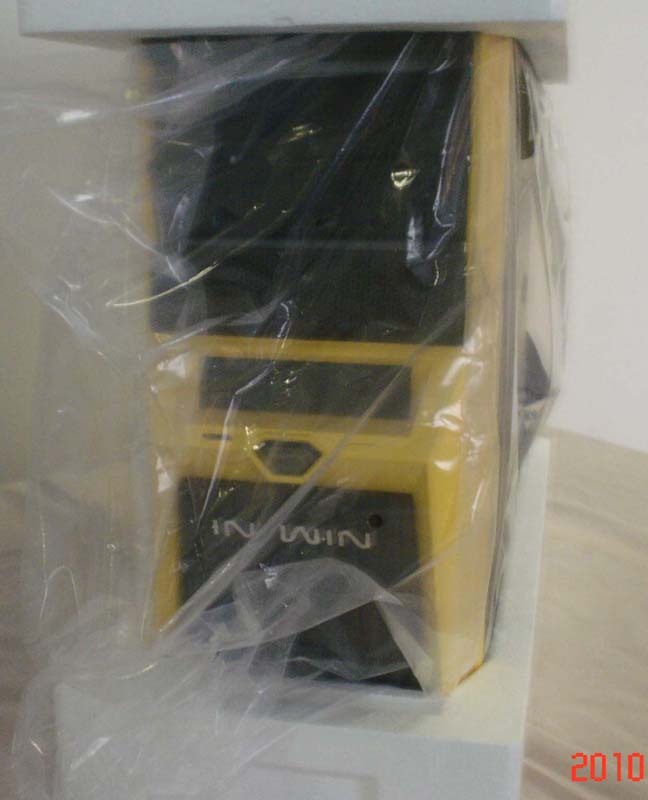 IN WIN is starting off right by protecting its product during shipping. 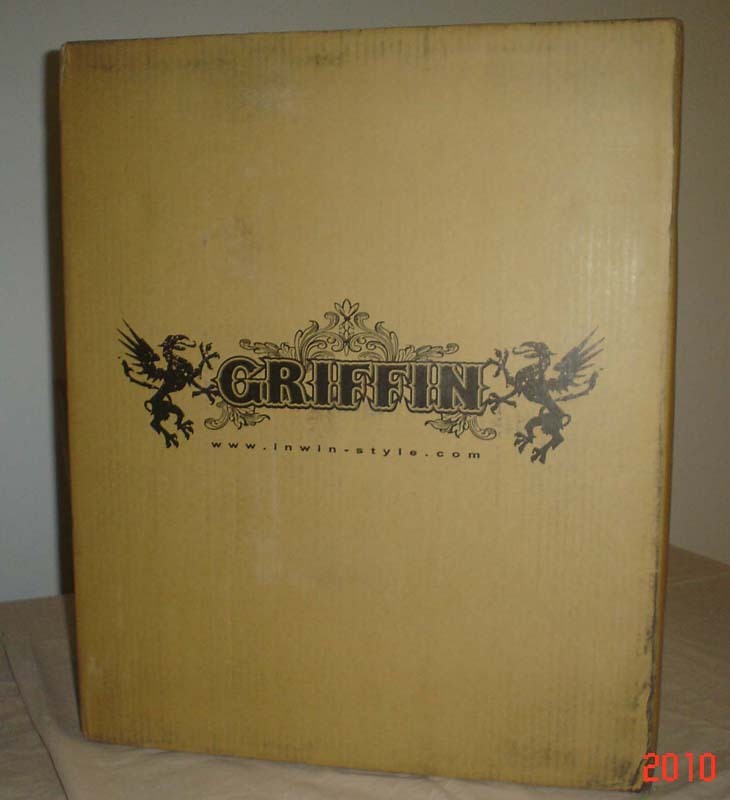 The box itself is embossed with the case’s name and a print of the case itself on one side and the name GRIFFIN on the opposite side. 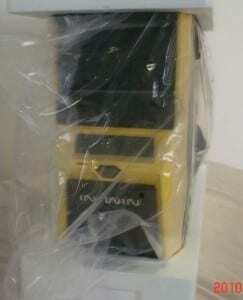 Removing the case from its protective shell (box) was a challenge. The styrofoam used wasn’t the spongy kind, and the case was wedged in the box tight. 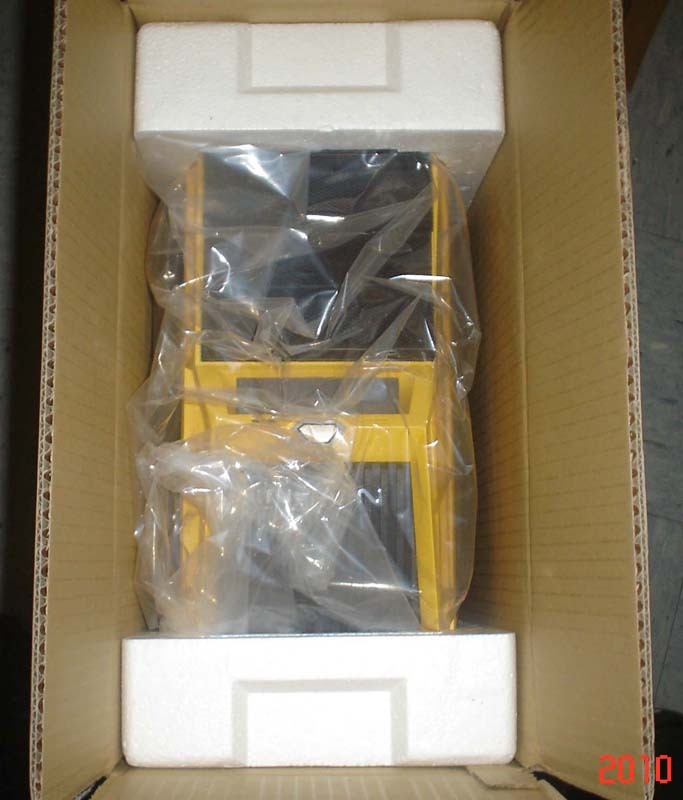 This ensures that the case is well protected against damage during shipping – score another point. Removing the styrofoam and plastic sheath reveals a work of art. The finish is black matte with yellow accents. 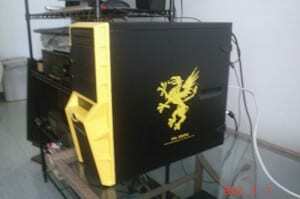 The yellow color is a pleasure to look at and is very easy on the eyes. I’ve seen neon colored cases that will give you seizures, but this isn’t the case here. Included with the case is the user’s manual and a sealed plastic pouch containing installation hardware for your motherboard. 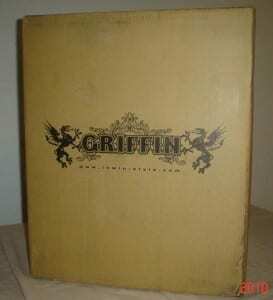 The Griffin also comes with an internal speaker, which has been a rare inclusion with cases I’ve worked with in the past. There’s no need to fumble with screws to open the side panels as the locking clips unlock with ease. 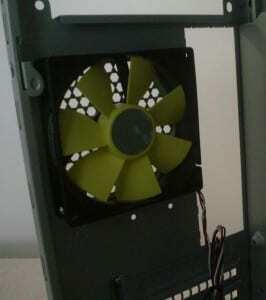 It has a huge 220mm brushless fan rated 12VDC @ 0.20A. The CFM rating is not stated in the documentation, but I’m sure it supplies adequate airflow. Looking at the rear, we see a yellow 92mm exhaust fan. 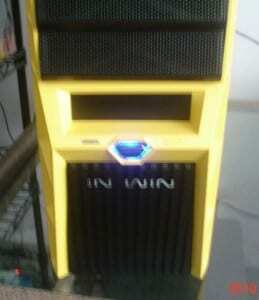 Sadly, the case does not come with any intake fan. 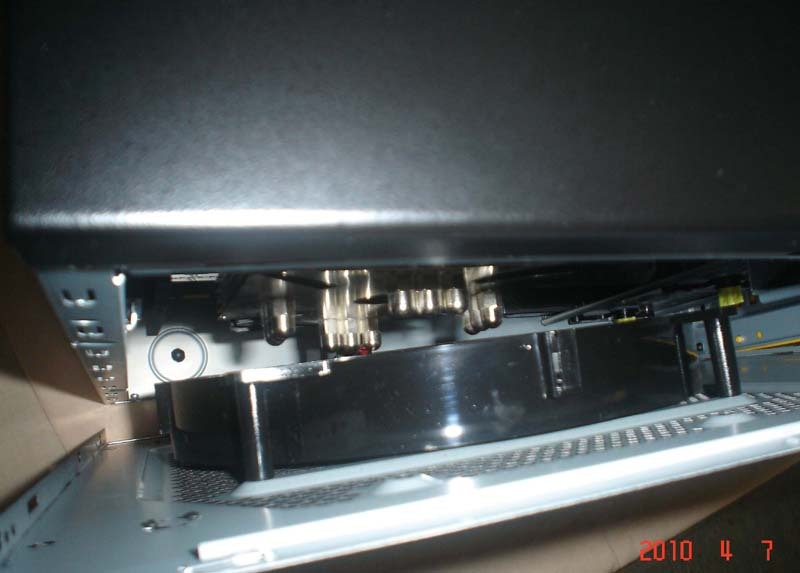 You do have the option to install either an 80mm, 92mm or 120mm fan as a front intake to increase airflow around your hard drives. 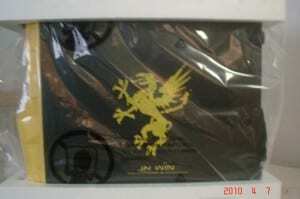 The case is made from stamped steel and is constructed very well. IN WIN took precautions by rounding all the edges – I didn’t find any sharp edges that would slice my hands/fingers – a good thing. Built in motherboard standoffs are already inside the case, and it has pre-installed wires for PWR/PWR-LED/RESET/HDD-LED/USB/AC-97/External AUDIO/e-SATA, as you would expect. 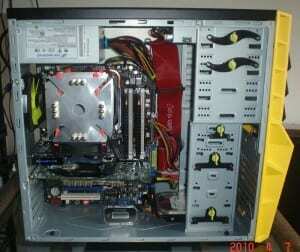 There’s ample space inside for mATX motherboards, but for full ATX motherboards, it’s a bit on the cramped side. 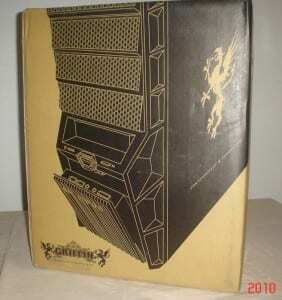 The case will hold 4-optical drives, 1-floppy drive, and 5-hard drives. The front I/O panel for USB/AUDIO/MIC/eSATA is hidden within the spring loaded trap door. You just press the front IN WIN logo right below the power button and it will pop open. To close, just push it gently and it will click locked – a very nice touch! 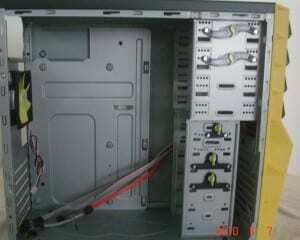 Installing the hardware was pretty straight forward, but be sure to install the power supply first as it’s a bit tight. The only issue I ran into was with the Scythe Ninja heatsink. 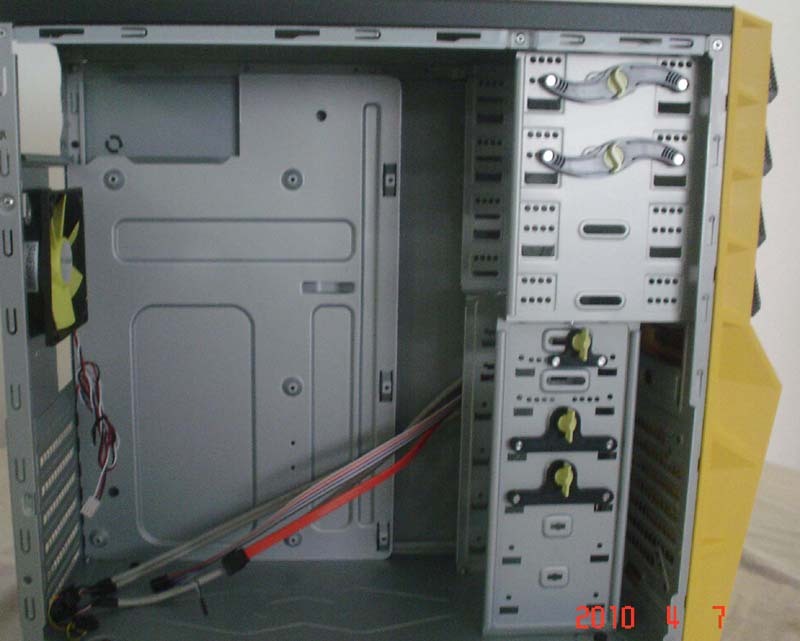 It’s a massive sink, too tall for this case, so I had to remove the side 220mm fan in order the close the side panel. The case is a “tool-less design,” but it’s not 100% tool-less. You’ll need a Phillips-head screwdriver and the included screws to mount your sound card/video card and to secure your HDD & optical drives. Upon powering up the system, the front power button has a nice blue LED behind it. 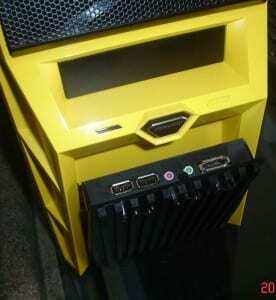 The HDD LED is an amber color and is very noticeable. The rear 92mm is silent but pushes a decent amount of airflow. I like my computers quiet and this fan qualifies while moving adequate air. 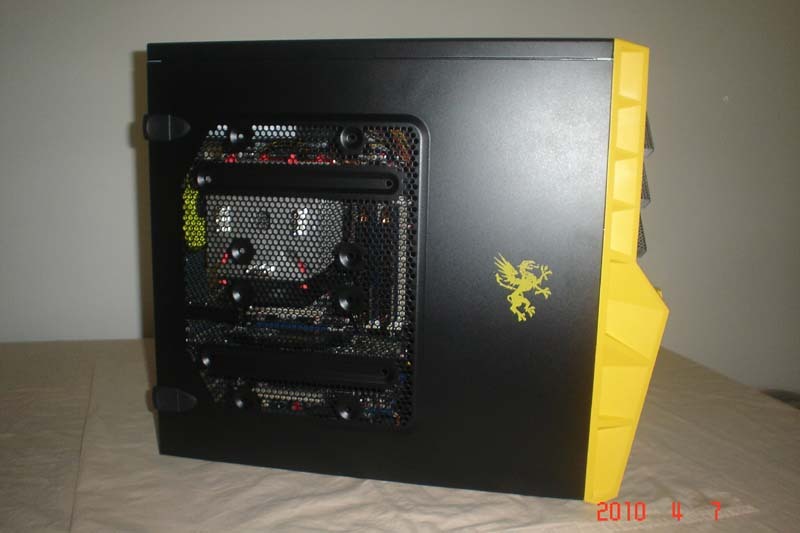 The build only took me about an hour due to my obvious penchant for perfection when tucking cables away and what not. I really enjoyed building this setup, and it looks really nice. 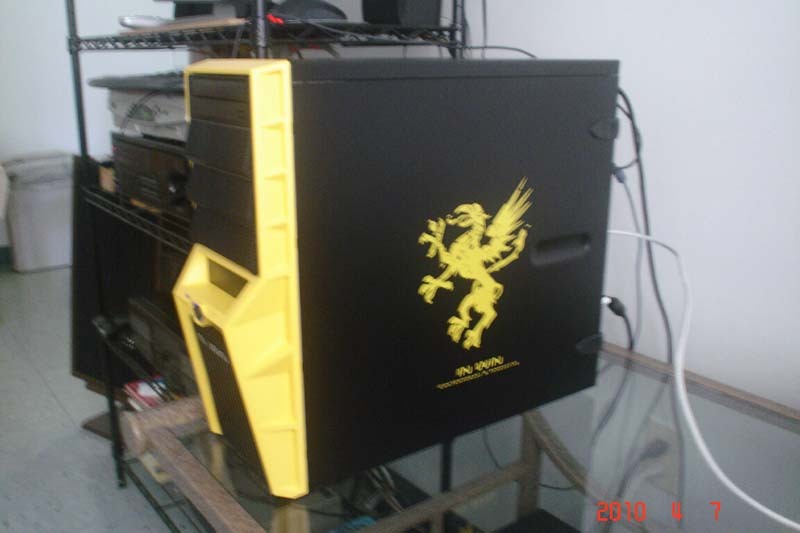 The yellow accents really make it stand out, and the yellow Griffin on the side panel makes the statement that you spent a bundle on it although it’s priced for PC builders on a budget. You can find IN WIN’s GRIFFIN at Newegg for $39.99 + shipping – a great price for a nice case that does what it’s meant to do well. It would have been nice if the case came in other colors for those that want to use a different color scheme. We’d like to thank the awesome people over at IN WIN for allowing us to review this case.